Christmas came late for the videogames market of 2009, thanks to the marketing behemoth that was Modern Warfare 2. Even the biggest names shied away from locking horns with the blockbuster franchise, the bulk of releases instead opting for release in the spring of 2010. An unfortunate side effect of this otherwise welcome reshuffle of the calendar was that a number of smaller titles simply slipped under the radar, including Bizarre Creations’ high-octane racer, Blur. A clean break from Bizarre’s increasingly dry and serious Project Gotham Racing series, Blur’s arrival injected fresh fun into the arcade racing genre; blending the real-world racing of Project Gotham with the explosive aggression of Wipeout. Players were showered with enough rewards to put a Pop Cap title to shame as they got to grips with a driving model more akin to the high-velocity showboating of F-Zero than a conventional racer. Blur was accessible, appealing and very, very fast. Implicitly pitched as Project Gotham with weaponry, the design is focused firmly on immediacy and fulfilling the player’s deepest, darkest motorway desires. Within seconds of starting your first race you’ll be smashing, EMP-zapping, barging and generally bullying your way to the chequered flag, trailing black smoke and a steady stream of metal and glass. As with any good game, you’re able to create your own tiny stories on the fly; there’s no experience more gratifying than tearing across the finish line as the flaming chassis of the former race leader cartwheels overhead, caught short by the shunt you desperately flung ahead of you coming out of the final corner. 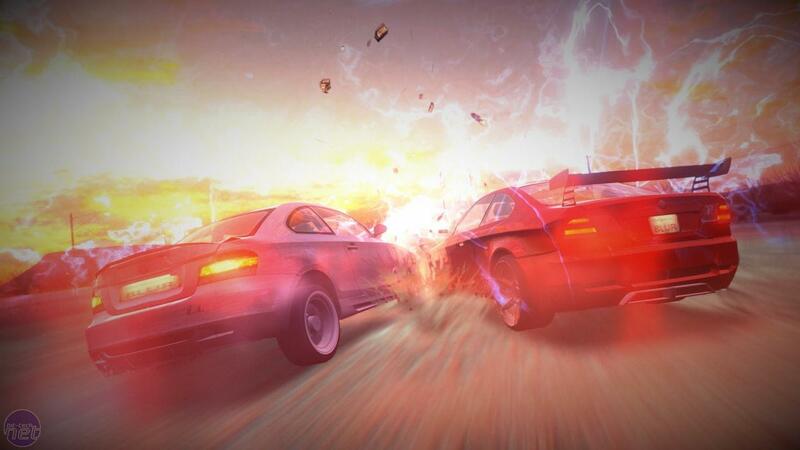 Race types are just as varied, and push the player to hone different aspects of their driving skills. From checkpoint dashes and the firepower-fuelled destruction mode to traditional races, there’s enough breadth for everyone to have a firm favourite, while sub-challenges can be accessed in-race and provide greater depth beyond the primary goals. Its locations, on the other hand, feel somewhat shallower than you’d expect from a Bizarre Creations game. While PGR wound its tracks around fully realised metropolises, Blur’s circuits take place across a greater number of cities, but with fewer tracks within each locale. While the initial thrill of a familiar landmark is still present, the lasting impression is that of a cursory tour rather than an exploration. Ultimately, Blur is perhaps most reminiscent of the Dreamcast’s Metropolis Street Racer, complete with its lovably quirky bugginess, dramatic vehicle handling and infectious enthusiasm. Under other circumstances it could have been a runaway success, instead of being consigned to the bargain bins scant months after its release. So why did a game as appealing and accomplished as Blur underperform? 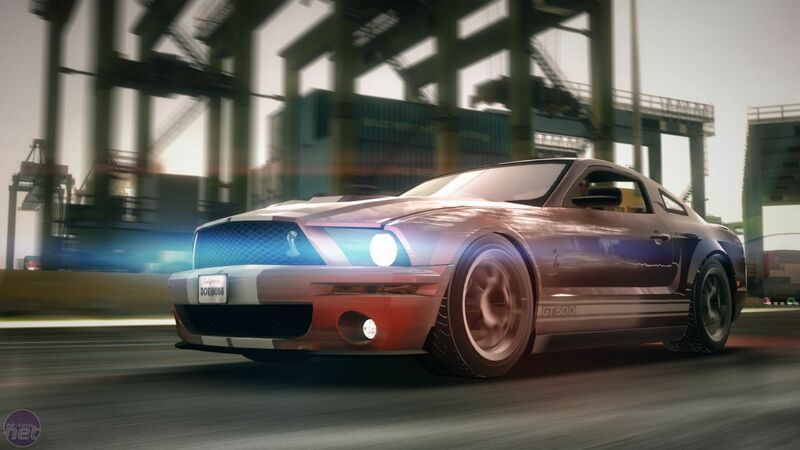 With a veteran arcade racer dev team at the helm, producing its first new title under the management of new owners, you’d certainly expect strong sales. Unfortunately, however, Blur was thwarted by its timing. The run-up to Blur’s launch was filled with other, bigger releases from established franchises – Mass Effect, God of War, Battlefield and Final Fantasy, to name a few. The racing genre was also especially crowded, with ModNation Racers and Split Second both vying for the top spot. The market ended up fractured and dilute for most gamers, while others waited for more news about Gran Turismo 5. Blur’s marketing was a hit-and-miss affair too, with an emphasis on the miss. In the months running up to its release, gamers saw a good number of videos, screenshots, interviews and a multiplayer demo, but when it came to release time everything fell strangely quiet. The highlight was a single, albeit very polished, TV spot that pitched the game as Mario Kart for grown-ups. However, Mario Kart players tend to come in two flavours: casual gamers and dyed-in-the-wool Nintendo fanboys - neither likely to drop their allegiance to Nintendo with ease. Core gamers were left with a misleading impression of the game, rather than the reasons why it would appeal to them. Blur was left without any real identity in a crowd where it needed to stand out. For such a groundbreaking, accessible and feature-packed new IP to have failed due to bad timing and lacklustre marketing support is a terrible shame, as it was a brave, refreshing take on arcade racing which we may not see again. Providing hours of high-velocity knockabout thrills, either alone or with friends, Blur is a deserving and distinctive title and a genuine steal for its current price of less than £20. Do yourself a favour and pick up one of 2010’s greatest games while there are still copies available.